Interview with Mukul Agrawal, Department of Human Services, Federal Government of Australia. Today, government departments and large public organizations across the world are focusing on the pursuit of a vision of a future where automation, data analytics and machine learning improve the citizen and customer experience. While data privacy, choice and consent are still key issues that go towards public trust and confidence, digital service delivery channels are expected to become the first choice of most citizens who need to interact with service providers and government departments. 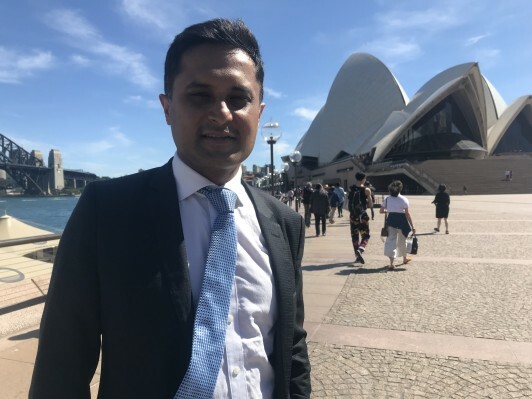 Mukul Agrawal is Chief Citizen Experience Officer with the Australian Government’s Department of Human Services and a member of a global expert group which is helping review the Arab Digital Economy strategy. In this exclusive interview with Sustainable Development Magazine, he discusses how digital transformation and automation can bring relief to both citizens and Department of Human Services (DHS) frontline staff through AI-based ‘digital assistants’ to help guide humans through the maze of policies and rules that exists in a government department like the DHS. What is your role in introducing digital technology, which can enhance the interface for citizen applications? Today with ever developing technologies and continuous policy changes in government, there is a need to shape how we respond to the challenges they pose and design systems more proactively for the future. My role is to assist the government in this move to provide better experiences incorporating digital technology in order to help citizens and improve service delivery. How has technology been used to design an interface for citizens to use when requesting or looking for information? We are continuously looking at ways to help citizens achieve their outcomes in faster and more efficient ways. To this end we have deployed many technologies such as artificial intelligence, self-help tool visual systems whether it is to guide citizens to reach their answers or achieve self-service outcomes, if we believe it is easier for them to do it on their own. We also use the tools to assist our front-line staff who deliver face-to-face interaction with the public as well as on the phone. This means they can have tools to resolve issues and access better information to serve citizens. What are some of the highs and lows and indeed obstacles you face when introducing state-of-the art technologies such artificial intelligence? The biggest learning here is to really understand the problems that need to be solved when applying new technology. For example the role of artificial intelligence needs to be assessed. Is it to help staff answer questions and help resolve queries more efficiently or is it purely to help guide self-service through the best channel accessible to citizens? Until clarity is reached on this issue, technologies may just be deployed for the sake of introducing something new. If this is the case, it does not achieve the necessary or expected outcomes and even result in increased time or greater complexity for both citizens and frontline staff, who may not understand how to use the technology or why it is relevant to their day-to-day activities. Another third issue is to implement effective change management, which means ensuring visual literacy not only for customers but also staff, who cannot be expected to adapt to the new technology without proper consideration. Some systems are of course sometime intuitive but others require support, education and training to achieve the best result. So which of these comfort zones are more important to address in terms of obstacles and potential resistance – that of the end-user or of staff? Both are of equal importance. Each one has complex areas with its own history, different objectives and desired outcomes. In the case of staff, they have years of experience in dealing with customers and have habits they have formed in doing their jobs in the best way they can. So in order to break those habits, there needs to be an understanding of their motivation and ways of working so technology can be introduced to enhance this through digital assistants and not lose the benefits already built up over time. For example, the skills that staff develop working in human services call centers and shopfronts, along with attributes like empathy, compassion, discretion and fairness which they possess, is a kind of intellectual property that must not be lost. Similarly, customers have preferences whether it is through certain channels of service or how they like to be acknowledged. Data plays a key role here as well whether surrounding issues of privacy or how data is used to good effect. What type of services being delivered via the platform that has been implemented using the AI layer? Is it designed to embrace national ID or payments or transport services, for example? It is primarily designed to embrace any type of service request so that the first time someone accesses our website they can navigate intuitively to the section or information they require faster and more easily. As the project started two years ago it is still ongoing in terms of development and it is not yet fully automated as an end-to-end service. There has been a high hit and resolution rate regarding how citizens are using the technology through virtual assistants and self-service chats that pop up to help them in their request. On another topic, what is your involvement as a member of the expert group whose role is to review the newly announced Arab Digital Economy strategy for streamlining policy-making across the region of the 22 Arab League member states? My role in the group is to give a perspective on how a strategy such as this is developed from a context perspective – in my case this is Australia – and how . to achieve a breakdown through considered though to reach a roadmap that provides tangible results. It is critical to start as early as possible when developing a new strategy for the digital economy so that all governments, individual department s and agencies are on board and can work together for a clear strategy on it ongoing iteration.